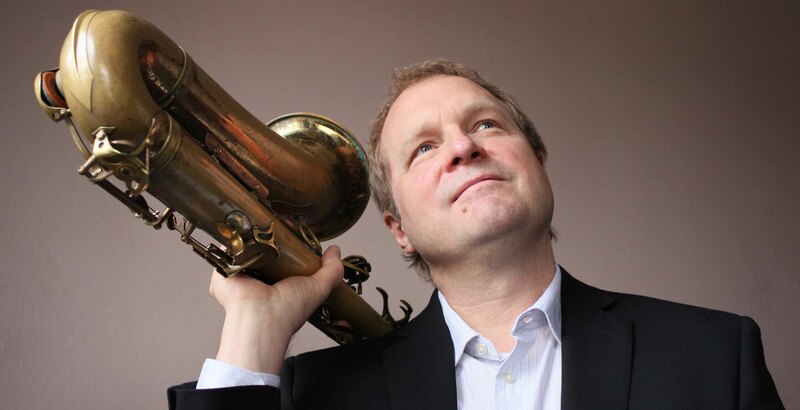 “Eloquent, inventive, thoughtfully lyrical, rich and full-bodied, impassioned yet cerebral –– serious chops, but chooses to go for the heart” are all words and phrases critics have used to describe Rich Perry’s unique voice on tenor saxophone. Born in 1955 in Cleveland, Ohio, Perry became interested in jazz in high school, and studied briefly at Bowling Green State University, before moving to New York to freelance. In 1977 he joined the legendary Thad Jones/Mel Lewis Orchestra which at that time included Pepper Adams, Jerry Dodgion, Rufus Reid, and Harold Danko and spent the next two years touring the U.S. and Europe. After Thad Jones left the band, Perry continued playing with Mel Lewis, recording three LP’s with him, including Live in Montreux, and Naturally. The band, with Perry as a key member, is now known as The Vanguard Jazz Orchestra, and continues to play every Monday night at the Village Vanguard in New York, as the group continues to tour and record. Three of their recent cds have been nominated for Grammy Awards. Over the years Perry has additionally played with numerous other notable figures in jazz, including Chet Baker, Paul Bley, Machito, Lee Konitz, Rufus Reid, Richie Beirach, George Mraz, Renee Rosnes, Billy Hart, Fred Hersch, Dave Stryker, Harold Danko, and more. Perry has recorded 23 albums as a leader, and has appeared as a sideman or featured soloist on over 70 more recordings, including being featured with the George Mraz Quartet, the Maria Schneider Orchestra, the Matt Panayides Group, Dave Scott, Gary Versace, Mark Soskin, and the John Fedchock New York Big Band. Perry frequently works as a guest soloist with various professional and university groups in the U.S. and abroad. A sought-after teacher, he presently is on faculty at William Paterson University and New York University.